It feels like this genre is getting over-saturated, but this does look good in terms of visuals and setting. Wonder what about it, is going to make it stand out though (the 'open-world' aspect is a good start). Will keep an eye out. When I saw the trailer, I thought the same thing. But I'll always enjoy a game if it's good. Even if it's an over-saturated genre, I'll just be sure to play something different in between the dozens of zombie games I have. Yeah, that's probably the best approach. I had to taper off my Fallout: New Vegas gameplay with L.A. Noire in anticipation for Borderlands 2. 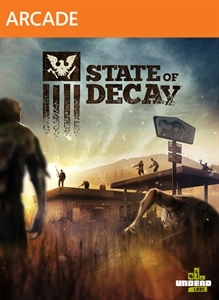 State of Decay looks promising, it might just be a matter of finding the appropriate slot for it, also pending any DotW promotions. Apparently the team at Undead Labs are taking their strategy for surviving a zombie apocalypse very seriously, because their new XBLA project will road test the strength of a contingency plan. State of Decay is a detailed survival sim, letting you see how you'd hold out in the face of grey, lurching death. This isn't the frantic zombie shooter we're used to. It's all about long-term survival - days, weeks after an outbreak in isolated small-town America. Killing zombies is all part of that of course, but on a tactical level. Once you've established a main camp, plus outposts, how you keep them safe is up to you. Every choice you make shapes the open-play world. If you cause chaos you'll attract more zombies to your base. The undead nasties also investigate noises, so do you sacrifice speed to quietly sneak around them, or jump into a muscle car to outrun them? Looting too many resources leaves the area depleted, and these items won't regenerate - smash all the cars up, and you'll run out of cars for good. With effort you can grow food in your garden, though there's always the option of scavenging further and further from home - but on a 16 km-square map, this can get very daunting. Weapons are also finite until you can craft your own, but if you don't keep zombie numbers down they'll start massing to attack. Luckily, you don't have to face them alone. Along the way you can pick up survivors. It means more mouths to feed, but they'll bring valuable skills to your team - plus you can't build upgrades or defences if you don't have enough labour to do it. Defences are key, since characters can actually die - permanently. You can carry on leading as another member of the team, but that other guy? He's gone forever. The two years this game has spent in development so far look well-spent. With a dynamic world and hundreds of tactics to live your own personal survival hell, it's time to barricade the windows and prepare yourself for a zombie invasion. I'm loving what I'm seeing. It looks a bit like Fort Zombie. I just hope that its a little more forgiving than that, though. Fort Zombie is a mix of skill and hoping the random number god will show you mercy. Not to attempt to compare, but if this had "Walking Dead" attached to its title and with a bit more of a connection to the series' backstory, I'd call it a win over "[Survival Instinct]". But what would I know...? 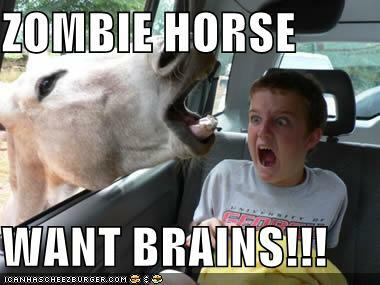 I was tempted to say the same, but didn't want to kick the zombie horse while it was down. This kind of looks good, which doesn't seem right for an XBLA game.